The Bulle MOLLE C type double magazine pouch is designed to store two magazines stacked on top of each other for a higher profile, space saving fit on the belt. 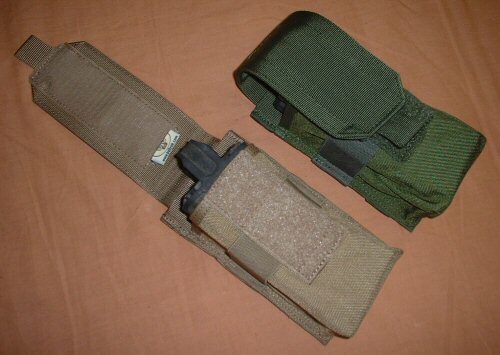 The C type pouch is secured with an extra long velcro flap, whilst the body of the pouch is reinforced with an elasticated band to aid retention of magazines within the body of the pouch. The extra long flap of the C type pouch is designed to enable longer magazines to be retained within this pouch securely. 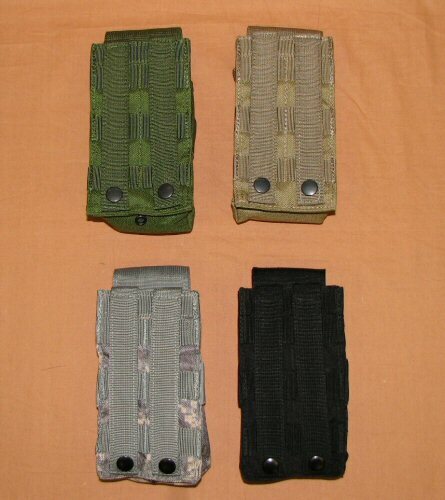 B type double magazine pouches will fit into a compact space on the MOLLE modular vest, chest rig or belt thereby increasing the proportion of ammo carried in an overall load carrying system. The C type pouch is better suited to larger or unusually shaped magazines and should be used in medium-intensity applications in which velcro retention would be sufficient. 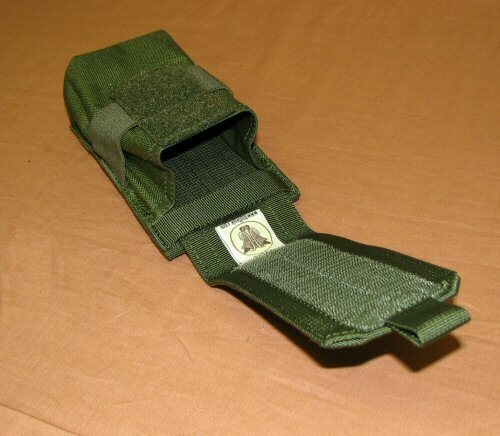 The Bulle MOLLE C type double magazine pouch will hold 5.56 NATO magazines including the M4/M16, AK47/74, G36 magazines as well as 7.62 NATO and Soviet magazines including the G3, M14 magazines. 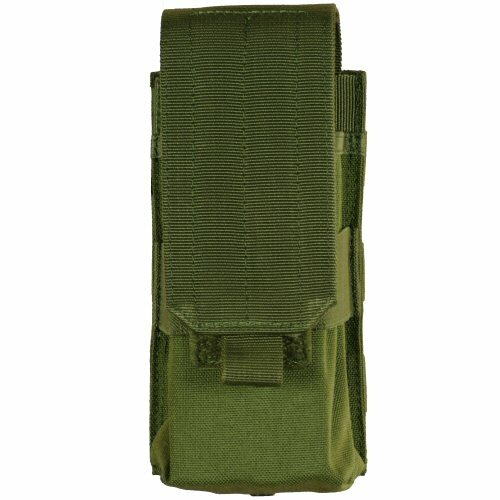 The pouch is designed to be fully mountable on all MOLLE systems. Made of 1000 Denier texturised Cordura. Price is for one pouch only. View of rear of pouch. Angled view of interior of pouch. The velcro flap can be adjusted for height. View of pouch with flap open, showing the elastic section around the waist of the pouch and the long velcro section on the flap.